Out Feb. 10. Order now from Amazon. 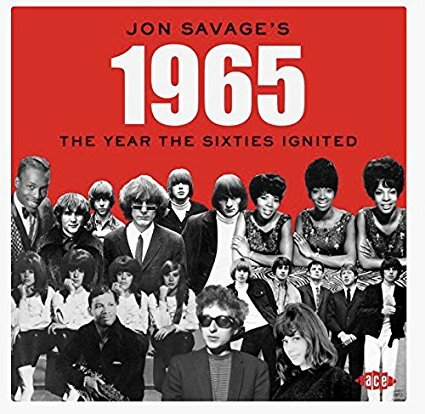 The second 'bookend' to Jon Savage's hugely popular 1966 Faber book and Ace compilation and to last year's '1967' CD follow-up, this prequel double CD based around 1965 represents the lead up and context to all that was about to happen. A genre-spanning mix of hit singles, slow burners and lost gems from soul, funk, psych, garage and rock'n'roll, these are the 45s that defined the year, captured the mood and crystallized Jon Savage's personal memories of the year.